There is only one thing that you really need to learn a language – time. Lots and lots of time. For most people, there isn’t enough time in the day to take that step to learning another language. Well, that is at least what you tell yourself. Ultimately, it’s up to you if you are ready and willing to make the necessary time to learn another language. If you are sincerely dedicated to learning to speak another language, I can help you make the time to accomplish that goal. It isn’t magic – it’s just a matter of time. If you commit yourself to these five strategies, you will quickly find that the time was there all along. It can be very difficult to prioritize goals because of the number of distractions that you encounter over the course of a day. The key is to learn how to prioritize. Use the 80/20 rule to help get your schedule working for you. This rule has been proven to be an effective way of forcing you to examine your life to figure out what really matters. Also called the Pareto Principle, it is fairly easy to apply. It is not a new rule either. During the early twentieth century, Vilfredo Pareto observed that 20% of the population within Italy owned roughly 80% of all the land. He then looked into this phenomenon in nature. He found that approximately 80% of the peas came from 20% of the pod. It proved that the phenomenon was not isolated to just one area of life. In terms of prioritization, the smallest things in your life (the 20%) tend to take up the largest amount of your time (80%). You can use this to free up a lot of time for your language studies. And it is only going to take you about 10 minutes to do so. Write down all of your regular activities – daily, weekly, and monthly. Everything, including sleep, cleaning, errands, work, exercise, learning another language, commute, play time, cooking, study – everything. Look at your list for the things you think are the most beneficial. Obviously, things like exercise and cleaning are in there, as well as work and study. These should be your highest priorities. Mark everything on the list that you think are either the least beneficial or create the most misery (yes, things like work will probably fall into both categories, but being able to pay your bills is a pretty large benefit). Mark off anything that falls into one of these two categories (as long as it wasn’t also part of your previous run through of the list). You will cut these tasks out of your life. Now you have your priorities listed. Time to rank them. If you want to learn another language, make it your biggest priority. Most people approach learning a language as if it were something that could be worked into a busy day. If it is a priority, you work your day around it. This is one of the best ways to ensure that you set aside the time for it instead of trying to squeeze it between other tasks. You may be busy (most of us are), but there is time in your day for language learning. It’s up to you to make it a priority worth working the day around instead of trying to find time later. Here are three reasons to work language studies into your early morning. It will become an automatic habit that you do before the day gets too busy. You reinforce the idea that it is a top priority. It is so important that you wake up and start learning. If you study before bed, you are reinforcing what you learned. Here are the three reasons to work language studies into your bedtime routine. It is the perfect complement to your morning studying. By creating bookends out of your studies, you are increasing your motivation. You are reinforcing what you learn as you drift off to sleep. It can help you sleep better. A nice side benefit considering the previous benefit. 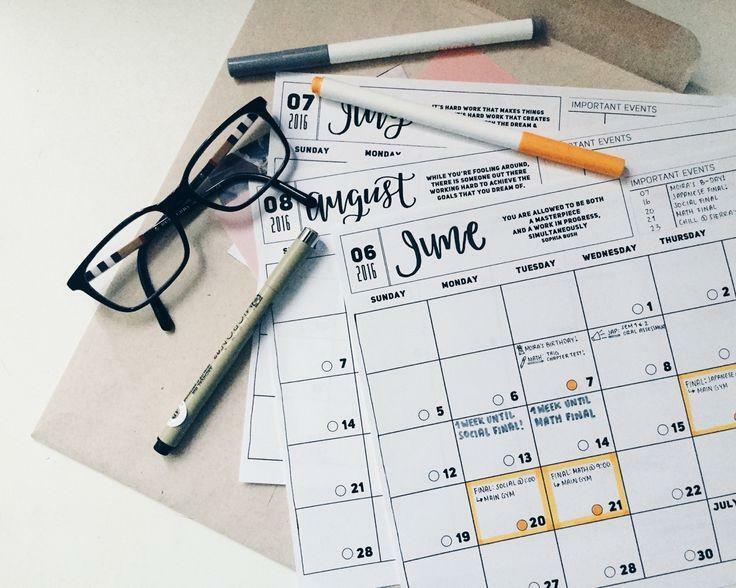 No matter when you plan to study, add it to your calendar with reminders. If you treat it the same way you treat your appointments and meetings you are much more likely to follow through. There are so many ways to incorporate language learning into your other daily activities. Listen to audio tapes on the way to work, during your walks/jogs, and as you cook and clean. You are not fully utilizing your brain during these activities, so put your brain to good use. Use an app in the language while you are waiting for something or someone. If you are waiting for a meeting to start, open an app that helps you review words you studied recently. Instead of getting frustrated or annoyed with waiting, turn it into study time. Schedule time to speak the language as often as possible. If you work, try to find a tutor who can work with you for 15 minutes during your lunch break. This not only reinforces what you have learned, it helps your brain to process speaking in the other language. This is easily one of the hardest things people do when learning another language. If it is only studying, then you are more likely to stop doing it at some point. It needs to become a habit that you just accept doing, like sleeping and eating. You already have several habit loops that you do without even realizing it. Text and email habit loop – You hear a ping or feel your phone vibrate, and you automatically check it. It gives you a feeling of being caught up and in touch. This is why it was such an easy habit to form, despite the fact that there is no natural equivalent or any actual need to do it. Dessert habit loop – With every meal there should be dessert. It’s just a habit, not a healthy one, but a habit. You eat your meal, you get a reward for eating your food. There is no need for this habit, but you probably are not about to give it up. You need to help develop a foreign language review habit. Whether this is through breaks when you study on an app, you find games in that language, or you watch a show in that language, you can easily develop a habit. Keep in mind it should be something you enjoy. As the text/email and dessert habit loops prove, if you feel good about doing it, the task isn’t even work. If you have something to lose, you are also a lot more likely to do more to succeed. Here are a few things you can do to set some real stakes. If you know someone who is also learning the language (and if not, find someone), then set up a competition. This approach helps you build a speaking element into your learning. It also helps you gauge just how much you have achieved. Positive reinforcement is fantastic, but there is a lot to be said for shame to make you try harder. Post your progress to a blog or social media. As you start to say you haven’t achieved anything, the shame alone may make you drop everything and start learning. You should have goals too. Post those goals as well, and make sure to check in regularly. The extra encouragement can help you really feel motivated to keep going. If you are immune to social pressure, use money as an incentive. StickK and Beeminder are the perfect ways to do that. When you don’t reach your schedule goals, they will charge you for it, and then donate to an organization you don’t like. So your failure to make the time becomes a tangible help to your enemy. No matter how busy you are, there is always a way to make learning another language a priority so that you do it. The more often you study, the more proficient you will become. After getting your time management in order, learn the 9 principles to promote your language fluency.